This is where you put all info needed to personalize it. Poem will stay as shown and I am happy to personalize the bottom portion however you like. Heart will be added to the end or whatever best suits the request. 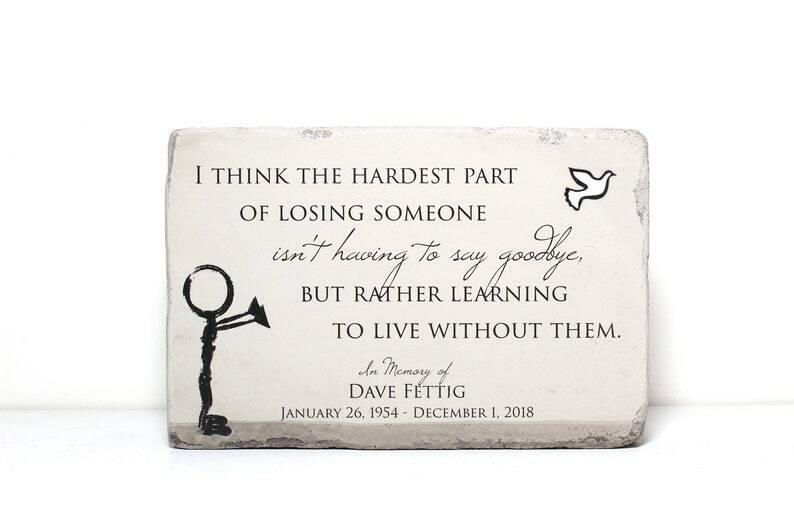 I think the hardest part of losing someone isn't having to say goodbye, but rather learning to live without them. The name and date can be personalized. Leave all personalization in the box provided. *NEW* UPDATED OPTION: I can add a bottom line of text with NAME and/or DATE (no extra charge). I am happy to make this however you like. Leave all info for personalization in the box provided. Memorial Stone. Indoor/Outdoor Use. 6x9 Tumbled (Concrete) Paver. 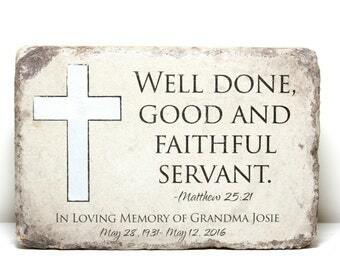 Personalized Remembrance Stone for Home or Garden. 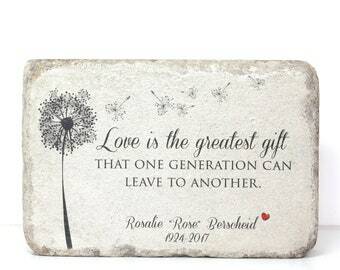 Personalized Garden Stone. Memorial Garden Stone. Heavy 6x9 Handcrafted Concrete Stone. 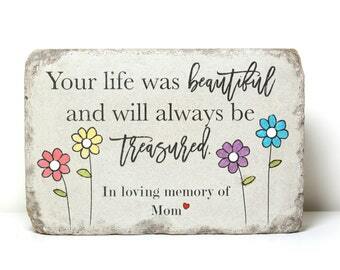 Memorial Gift. 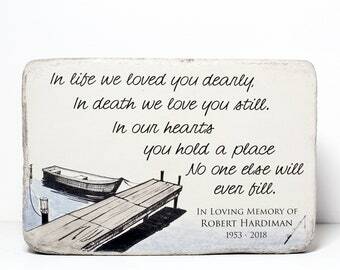 This was shipped timely and is exactly as pictured and a great memorial for us to have! It is beautiful. Heavy weight and packaged sturdily. Thank you so much for this wonderful remembrance show.